Digital payments firm FreeCharge has entered into a strategic alliance with Heritage Fresh, a grocery retailer from South India, according to a press statement. With this partnership, payment though FreeCharge will be accepted at all 125 supermarkets of Heritage Fresh across Hyderabad, Bengaluru and Chennai. These transactions can be done in less than ten seconds using the 'on-the-go-pin' feature on the FreeCharge app, which ensures the transaction is faster and safer than cash. "Customers want a hassle-free shopping experience and one of the pain points is waiting for SMS-based OTP to complete their transaction. 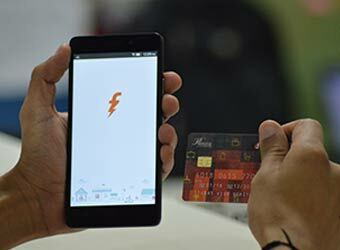 This process not just increases the queue at the counter but also the frequency of making cash payments," said Govind Rajan, CEO of FreeCharge. "This alliance by Heritage Fresh will reduce cash handling for the customers & staff and will also contribute to the government's objective of reducing cash transactions," said Dharmender Matai, CEO of Heritage Fresh. In September, the digital payments firm had integrated with Cortana, Microsoft's voice-based smart assistant, enabling voice-based support for carrying out transactions. In August, FreeCharge had partnered with restaurant search and discovery platform Zomato to offer customers a secure way to pay. In the same month, it partnered with payment gateway solution provider, PayUbiz, allowing for integration with PayUbiz's more than 10, 000 online merchants. FreeCharge was founded in 2010 by Shah and Sandeep Tandon and was acquired by Snapdeal in April 2015. The deal value has not been disclosed but media reports estimated it at $300-400 million. The company had recently appointed former Obi Mobiles executive Karthik Rajeshwaran as director (strategy). According to a recent report by The Economic Times, Japanese internet conglomerate SoftBank Group Corp. is reportedly in talks to invest between $150 and $200 million in FreeCharge. The investment, which also involves some investment banks such as J P Morgan, could take FreeCharge's valuation to $700 million-$1 billion. In August, VCCircle reported that Chinese internet giant Tencent was in talks to raise more than $150 million and would pick 10-15% stake in FreeCharge.